February half term playscheme is running from Monday 15th to Friday 19th February 2016. Places are limited so please book now to avoid disappointment. 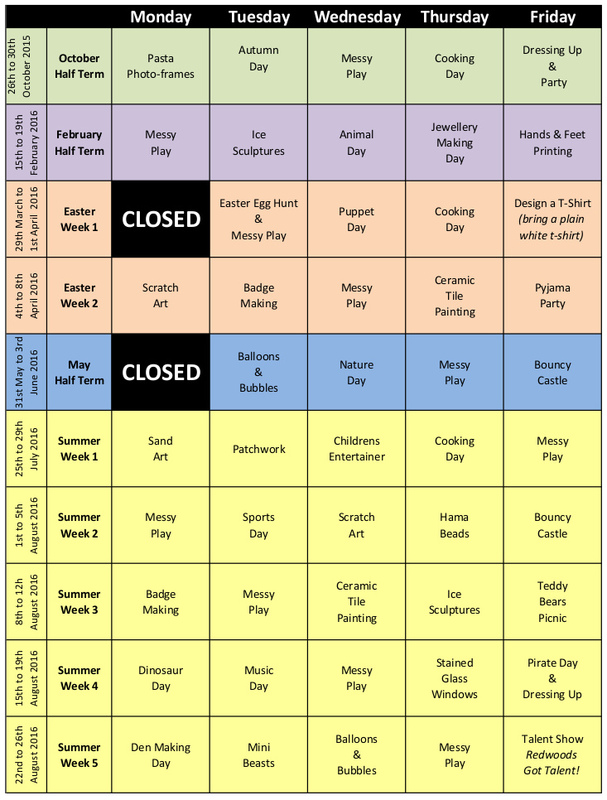 Look at our ‘Annual Theme Plan’ to see some of the activities we have planned for the children.